The latest survey from Visual Objects has revealed YouTube is the most popular social media platform among Generation Z. 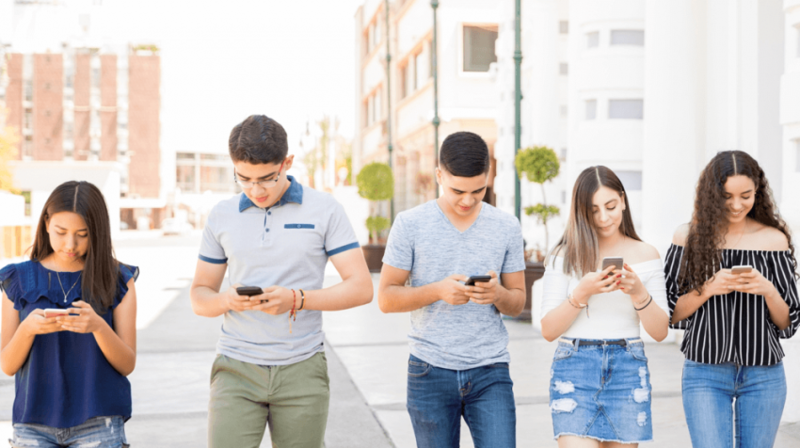 This is the coveted 18-24-year-old demographic brands want to connect with early because it can potentially translate to life-long loyalty. The popularity of YouTube is being driven because it provides a platform where anyone can launch a channel and monetize it with the right content and message. Influencers in every imaginable industry have channels which is allowing them to earn six and seven-figure incomes. For small businesses, YouTube has also become a valuable marketing resource. Businesses are using it to drive traffic to their website, social media, ecommerce and even local stores. The Visual Objects survey and report titled, “How Different Generations View & Use the Top Websites” revealed user experience (UX) is key to getting people to visit and stay on sites. The survey was carried out across the US with the participation of 612 people who visit at least five websites a day. The goal of the survey was to find out which websites they use most and how they use them. According to Visual Objects, the data in the survey can be used by businesses to see how different generations perceive the top sites. With this information, businesses can then design sites to better engage with their audience by delivering a good UX. 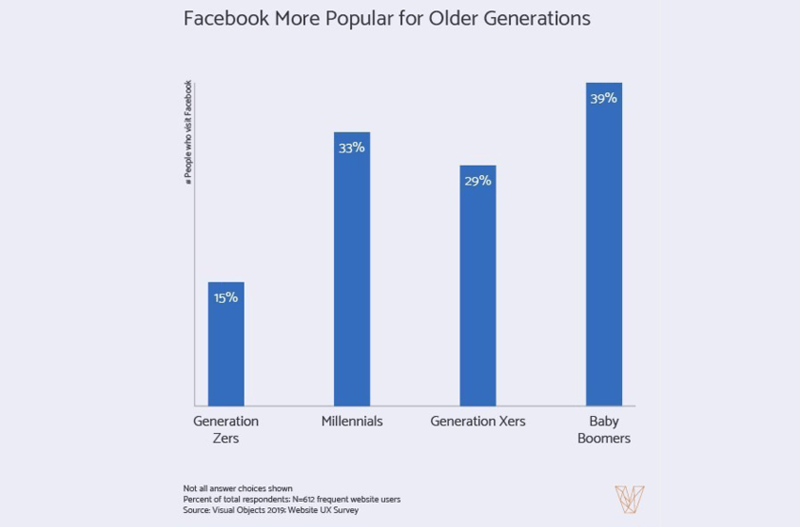 Of all the websites, Facebook gets the most visits for all generations except Generation Z. They prefer YouTube because of its ease of use and the content, which provides a one-stop hub of entertainment and lifestyle options. YouTube is a TV player, music player, influencer channel, and a learning channel. Visual Objects said, “Raised on digital media, Generation Z seeks an immersive web experience that revolves around open exploration, visual creativity, and rewarding interactions.” And this is what YouTube delivers for this demographic. YouTube is the second largest search engine, the first place going to its parent company Google. The ease with which Google finds queries is also available to YouTube. Generation Z users can find the content they want quickly and easily across the platform. In addition to entertainment, YouTube is the favorite learning channel for more Americans across all demographics. 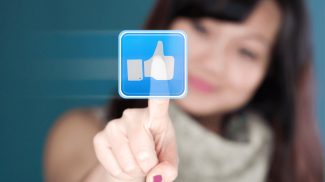 For other generations, Facebook is the preferred platform. This is a huge shift for Facebook as it is losing the group which made the company. In the report Visual Objects says Facebook has lost close to 20% of users ages 18-24 in the last four years. Older users like the Facebook platform for keeping in touch, sharing photos and reading the news. This includes users 55+ years of age, who are joining the site in record numbers. Overall Amazon’s UX got the highest ranking among baby boomers with 29% and Generation Xers at 21%. 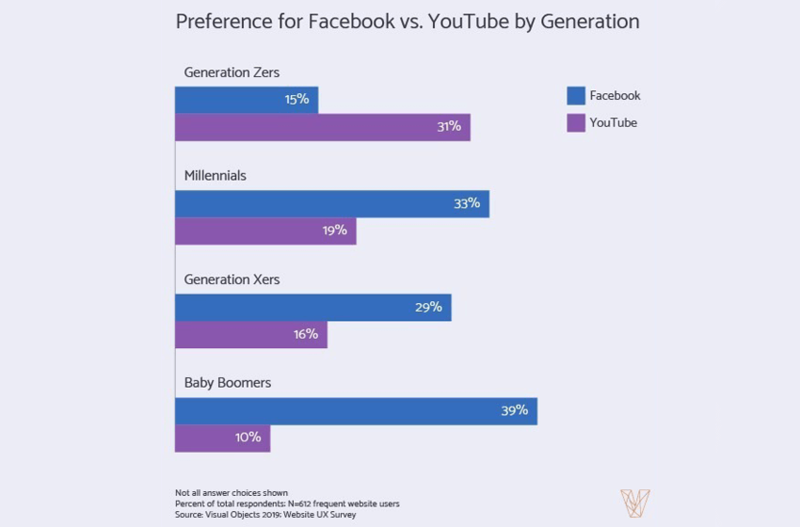 Facebook received 18% of the millennial vote, and YouTube got 24% from Generation Z for the best UX. Kelsey McKeon who wrote the report for the Visual Objects survey emphasizes the importance of the UX on websites. If you have an intuitive site which makes the experience enjoyable, you have a better chance at keeping and acquiring new users. Make the process complicated and you will lose your audience. He goes on to say priorities and expectations vary by generation. So before you create or update your site, make sure you know who your audience is and deliver on what they value most. It seems like they have to go do a search on Facebook/Twitter/Google/Bing rather than in the YouTube platform, which isn’t ideal. The only action I could see as relevant would be subscribe. Yes. It is all about videos nowadays. Simply posting on social media with text is no longer enough.